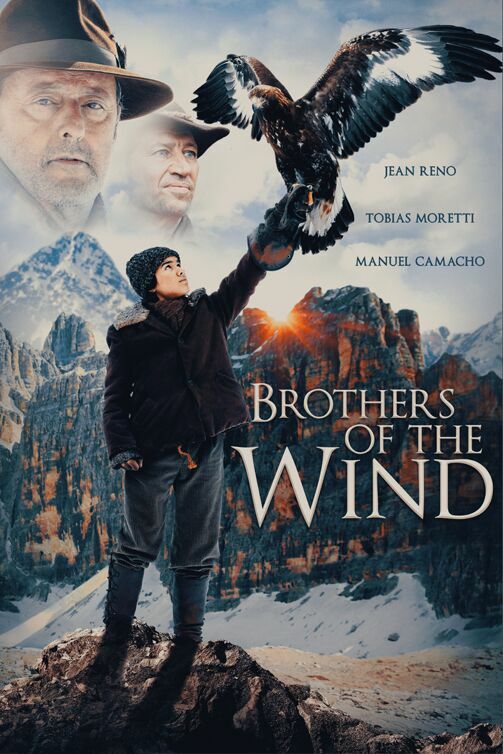 I was enticed into watching and reviewing Brothers of the Wind purely on the basis that it contains Jean Reno in the cast - that alone would make this film worth seeing. However, I was unprepared for just how visually stunning and emotionally involving this film would be. We've been spoilt rotten in recent years with amazing nature documentary series, such as The Blue Planet and Planet Earth, and this film sits shoulder to shoulder with those, in terms of the quality of the footage and the way the film-makers are able to tell a proper narrative. There must be a mix of animatronics and CGI in here, but I honestly couldn't see the seams between what was real and what wasn't. There are scenes where the camera must be literally inside the nest with the chicks, but I couldn't tell you how they filmed them. Like the aforementioned documentary series there is a refreshing amount of candor about the natural world. Abel is an apex predator and has to kill other animals for food - no matter how cute they may be. And believe me, just about every creature in this film is so lovingly photographed you'll want to take them home with you! There's one particularly sobering moment when Abel hunts down a fox and drowns it. It's done in such an unflinching way that it’s the animal kingdom equivalent of watching a serial killer at work. Although a family film there are some moments which are like the animal kingdom version of Game of Thrones - especially between Cain and Abel in the nest. The film doesn't anthropomorphize the animals but there's at least one moment which seems to have been engineered to give the eagles' mother an emotional response. 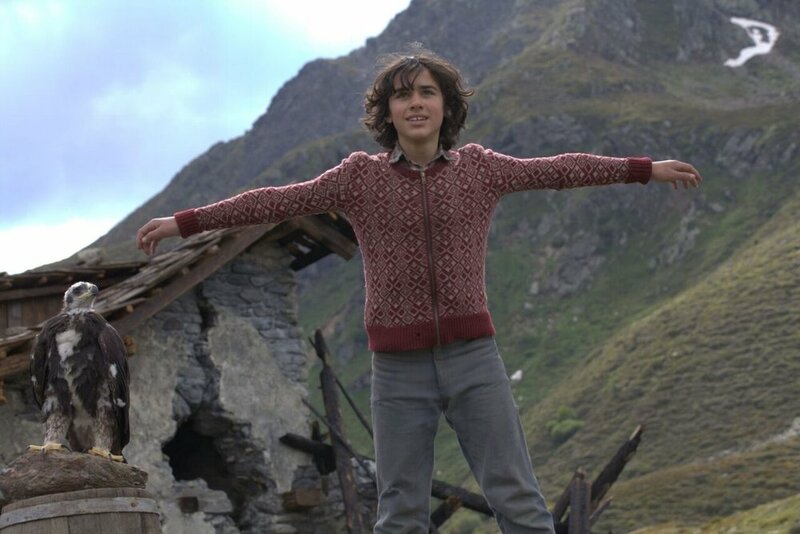 The are three facets to the film - the bond between Lukas and Abel, Abel discovering and practicing his skills on his own, and Lukas trying to come to terms with a tragedy in his and his father's past. Its to the film's credit that I never felt let down whenever it concentrated on the latter part of the story. There are some very perilous moments for Lukas to overcome - an avalanche, being caught in a snare and under attack from a wolf - that make sure we're rooting for him as much as Abel. Providing the film's backbone is the wonderful Jean Reno, delivering the film's narration and providing an emotional warmth to everything. Tobias Moretti can also be seen in the excellent Austrian thriller, Cold Hell, and is equally good here as he stand-offish father. As we learn late on, he has good reason to be so outwardly cold but he slowly grows on the audience. However the star of the film is most certainly Abel - and the naturist photographers who captured such beautiful action and scenery throughout the film. My favourite sequence see's Abel, who's annoyed by not capturing a gopher, turns his attention on a herd of mountain goats. It's both comical (Abel hasn't quite learnt the limit of his ability) and perilous (there's a real danger he's going to get crushed!). I was not expecting this. Brothers of the Wind has to be one of the best family movies. 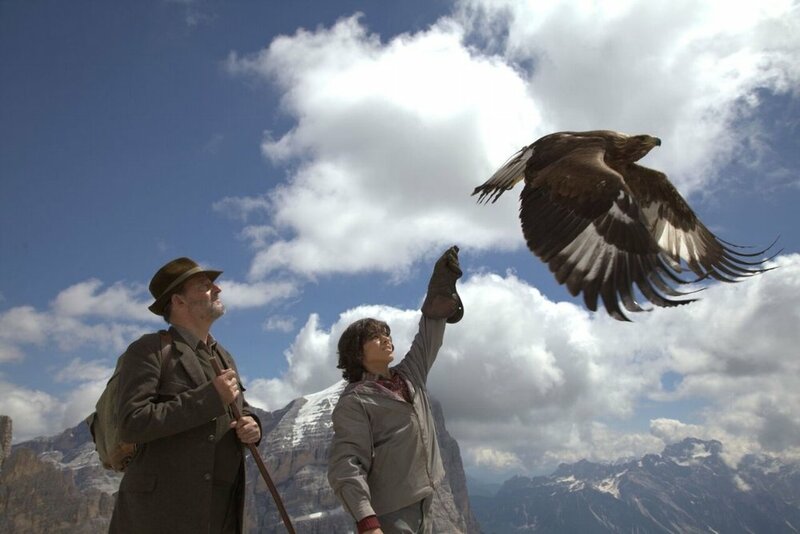 It packs in drama, excitement and amazing scenes of nature, delivering a unique and timeless story which kids will engage with and adults will wow over.